Big business ideas aren’t just for big businesses any more. There’s a very popular idea right now that big businesses are using to help guide the decisions they make, the markets they play in, and even how they treat their employees. That idea is the Net Promoter Score (NPS). In some corporate environments, they treat the wielders of their Net Promoter Scores with a cult leader like reverence. It gets pretty intense actually. I’m all for finding ways to measure the experience of the people you serve, and use that information to get better, but you should never put all your eggs in the one metric basket. That’s where this post comes in. I want to introduce you to the Net Promoter Score so you can add it to the toolbox of awesome things you’re keeping track of to make sure your business is growing sustainably over time. The extra great thing is that you don’t have to be a big business to implement NPS and there are FREE solutions that you can use right now to jump on the NPS bandwagon. So, what exactly is a Net Promoter Score? The NPS is a methodology that came out of Bain & Co. in the early 2000’s and it puts a process around identifying what keeps your customers and employees happy. The idea here is that happy customers and employees lead to organic growth over time. It might sound a little commonsensical but it’s a process you can use to measure not only how much people know/like/trust you but how likely they would be to refer your business to the people they care about. It’s a way to quantitatively measure very qualitative concepts like happiness, trust, and referability. You use the NPS consistently over time to collect feedback that will help you make better decisions when it comes to the future needs of all the people that rely on your business. How do you calculate the Net Promoter Score? The NPS is calculated using a survey. You ask a question and the takers of your survey respond or rate on a scale ranging 0 to 10. It could look something like, “How likely are you to refer this business to a friend or family member?” Then you rate 0 might be “Never in a million years and I hope you go out of business” and 10 might be “I already have and they’ve referred their family and friends”. Well it’s a little more nuanced than that but you get the idea. From the responses you collect you then divide them into three categories: Detractors, Passives, and Promoters. Anyone that gives you a response with a score equal to or less than 6 are Detractors. Detractors weren’t typically thrilled by your value or service and aren’t likely to every refer or use you ever again. Unless they are especially motivated, like gave you a 0, they also aren’t likely to actively go out and lambaste you. You should keep track of where people fall when they are Detractors to see if their sentiments change over time. Can you turn a 3 into a 6? A 6 into a 7? Just because someone wasn’t thrilled with their experience in the first go-around doesn’t mean they are lost forever. Passives are those that offer scores between 7 and 8. They were decently satisfied with their experience but would be open to switching to any competitor or substitute. Passives aren’t likely to actively refer you either but at least their experience was satisfactory. The challenge with receiving consistently Passive scores is that you aren’t memorable and your brand or business isn’t ever top of mind. It’s the professional equivalent of getting “meh’d”. Promoters are your 9’s and 10’s. These are the people that absolutely love interacting with you. They loved their experiences so much they are likely to go out and tell people about it. They’ll actively refer to you, leave testimonials, and generally advocate for you. Promoters are those that land consistently way above the know/like/trust curve. Ok so once you have all your scores you get to the Net Promoter Score by subtracting the percentage of customers who are Detractors from the percentage who are Promoters. When you do that you are going to end up with a score that will fall somewhere between -100 and 100. If everyone was a Detractor then you’d have a pure -100 score, meaning 100% of your responses to the survey yielded scores of 6 or under. A positive 100 comes from 100% of the responses being all Promoters, 9’s and 10’s. What happens after I get my Net Promoter Score? And why should I care? As a static metric the Net Promoter Score can tell you a few things. It’s a snapshot into the perception of your business. The more the negative the score the harder you might look into a particular issue or experience. It also shows you how your customers are self identifying after the engage with you. Your business probably won’t be all things to all people but are you doing the best you can for those people you do want to serve? The real power of the NPS comes in running lots of the surveys over time. Over time you’ll be able to see how the decisions you make in your business impact the real experiences your customers are having. It’s also used internally to help keep you and your staff honest when it comes to the work that you’re doing. Then there are the proportions and watching them over time. Are your customers moving between groups? Are they moving within groups? Being able to quantitatively watch behavior gives you real feedback about your policies, procedures, and even branding choices. I mentioned that you can do this for lots of parts of your business. Sure it’s great to see if people are willing to refer you but you can ask lots of questions. You can ask to see the likelihood of working together again, using a venue, managing a project, willingness to use a product or service, likely to use a tool, etc. Think about all the sites, services, products, and experiences you have on any given day. Any time someone asks you to take a quick survey or submit a review they’re looking for your input and to rate them for their NPS score. You’ll notice it happens most often when something changes like new features, people, or even menu items at a restaurant. To figure out why you should care let’s throw it back to Bain & Co., the firm that originally introduced this metric. According to Bain & Co.’s NPS dedicated site there’s a correlation between your business’s growth and your Net Promoter Score. Your NPS accounts for somewhere between 20% and 60% of your business’s organic growth rate. That’s a big deal. No matter how clever your marketing, how authentic your branding, and how well you position yourself how people feel about you can be responsible for more than half of your growth. The neat thing there is that this doesn’t only apply to people buying something from you. Think about all the free apps you use, the websites you visit, or free things you consume. As a customer, you being willing to tell someone about something you liked is a big deal. Attention in this regard is worth just as much as actual money in some cases. Again not to sound too commonsensical here but, your customers will buy more, stay with you longer, refer more, and provide more constructive feedback the higher your NPS climbs. So you should absolutely care! After you set all that up you’ll need to figure out who to send this too. You can send out to your customers, your professional networks, and even your family and friends. Without diving too much into the magic of statistics I would just caution you about using sample sizes that are too small or too focused. Just because you send it to three people and they all give you a score of 6 doesn’t mean you should change everything you’re doing. Keep the data you’re collecting in context and you can always ask for additional feedback. Don’t forget that this is all because you’re trying to get better and sometimes that means coming to terms with the fact that people will have less than great experiences with you. So, make sure you add a heartfelt message at the start sharing how important your audience’s feedback is and let them know that you’ll be sending these from time to time to help you be the best version of you possible. After that you’ll be on your way to collecting data, making decisions, using feedback, and growing sustainably like all the rest of the captains of industry. I had the opportunity to speak to a business communications undergrad class recently and it was a bit of mixed bag experience. I loved being able to share real stories and examples of how the skills they were learning worked out in the business world. I was saddened with how little they seemed to care though. It’s a bit of a paradox even a week later. I’m still struggling with this because as self identified active social media users, future job seekers, and hopeful entrepreneurs how could they not care about building the skills that make you an effective communicator? Literally, every business interaction can be boiled down to your ability to communicate an idea well enough that it creates buy-in for the people (or the person) you’re interacting with. So in today’s post I want to share a few of the points I shared with that class because they apply to anyone that’s trying to build a brand, business, applying for their next job, or really just trying to get anyone to care. 1. Knowing your audience is super important. When you’re trying to communicate an idea, you have to think about how your audience likes to be communicated with. Where is their attention going? This includes the words that you choose, the expectations you’re trying to manage, and even their geographic location. How can you expect to create impact, enough to inspire someone to take some kind of action, if you’re message never gets understood? Worse is if you’re trying to communicate a message that no one in your target audience even cares about. When you’re trying to get your content (or copy) seen and connect with your customers you have to keeps at least these things in mind: their experience, any technical ability, skills they have/need, seniority or tenure, their age, location (both online and IRL), and any other psychosocial demographics that might be important. You can’t expect or even attempt to build a relationship with your audience if you don’t take the time to get to know them. 2. Consistency matters. You can’t expect one blog post, one cold sales email, one mailer, or one Facebook post to create any real traction for you. It takes a special mix of factors for something to go viral and odds are the last thing you created didn’t have it. That’s ok though! It’s ok because you’ve committed to showing up everyday in your business to share what you believe in with the people who you believe need you. If your goal is to get your audience to know, like, and trust you then you should be taking advantage of every opportunity you have to share content that creates value for them. Consistency also allows for better engagement and creates opportunities for you to get to know what your audience really needs, how they like to be communicated with, and how to better serve them going forward. 3. In general, people are very egocentric. I’m going to generalize here but, we only care about the stuff that directly affects us most of the time. When someone is buying something from you they care less about you and more about how their lives are going to change after interacting with you. Sounds a little glass half empty but it’s pragmatic.Understanding this can help you really connect with people. That means all of your copy, all of your messaging, even your future "About Me" pages better be tuned to station WIIFM - What’s In It For Me. Consumers want to know that you are a trusted resource, that they got to know you, and like you, but after that it's all about how you're going to provide them value. Your audience is going to be looking to see what their life is going to look like after engaging with you. I've seen a lot of businesses go from being almost out of business to thousands of percent in margin just by spinning the point of view and burying their own egos a bit. This isn’t manipulative, it’s facing the reality that people are bombarded daily with all kinds of messaging and your job is to position yourself well enough to warrant someone to give you a second look. You don’t do that by talking about yourself all the time. If you do those three things, regardless of your professional situation, you’ll position yourself as a trusted asset with any audience. Oh and I also shared this link to a recent marketing study by an organization called re:create highlighting the real dollars changing hands because of the reach of social media and those that can master telling great stories and connecting with people. Today I want to talk about Value Propositions. This is something that often doesn’t get the attention it deserves from most of business owners I talk to every day. It’s one of those exercises that everyone knows they should do but figure they can just wing it if push ever really came to shove. When you’re sharing your value proposition you are literally communicating to your audience (or market) the reason they should buy from you. You are providing the answer to the discomfort or tension they are experiencing in their lives. Why wait to articulate that and potentially end up just talking yourself in circles until you lose the customer? Or worse, miss the opportunity to really serve someone. My goal is to get you to understand that your value propositions is not something you should be winging and that it’s worth the time and effort to craft a message that will really mean something to your audience. A value proposition is a message that’s more than features or benefits, it’s about letting your potential customers know that they can trust you to deliver what you’re promising in a way that will help them solve their problems. Your value proposition sets the foundation for how you communicate with your market or audience and should get people thinking about what you do beyond just looking for the lowest cost option. It’s literally the reason people will work with you instead of your competitors or try to find a comparable substitute. It also helps to keep all your marketing and sales stuff on message. Nothing worse than thinking you’re doing an awesome job on social only to find out that people have no idea what it is you actually do. So today we’re going to talk a bit more about what a value proposition is, why it’s important and once you come up with it - how to work it into the rest of your business. A value proposition is a clear statement that explains how your offering solves your customer’s problems or makes their lives better. It tells your ideal customer why they should buy from you, how you’re different, and the benefits they can expect. And no, it’s definitely not just your slogan. There are three big components in a value proposition. What makes you unique or different. Getting this right means you’ve clearly identified a solution to a problem, why you and, shown your commitment to service. What it’s NOT is a slogan or positioning statement. If your value proposition says “we’re the best”, “we have the best”, or “We’re number 1” in whatever your offer is then it’s definitely NOT a value proposition. Why is important that you have yours clearly articulated? If you aren’t speaking directly to your target customer in a way that mirrors how they authentically speak or like to consume information then it doesn’t matter how much good you do, no one will be able to connect with you. Being clear about the value you provide also allows you to be specific about the value you promise. The more specific the better. What are the quantifiable and unquantifiable benefits that your customer will experience after they engage with you? How will their life be transformed? Explaining this helps your target market build a confidence in your offer because you can clearly express some kind of measurable or marked change. People have small attention spans, when they’re evaluating options they are constantly scanning for information that they can instantly apply to their lives. They’re literally conducting gut level cost/benefit analysis to see whether or not they feel like you’ll be able to solve the problem they have. Too wordy, to theoretical, to much fluff makes it hard for them to picture how you can help their life in a real and meaningful way...or at least in a way that makes sense for them to trade their dollars for your potential value. How to identify or clearly articulate your value proposition? A few sentences followed by or supported by a few bullet points. That’s it. Crafting a decent value proposition starts with a brain dump of sorts and it happens in three acts. Act 1. Listing out all the benefits of your offer. The more specific the better. Are you making a process easier? How much time are you saving? How much money are you saving? Can you quantify the opportunity engaging with your offer brings to people? This can kind of be viewed as an exploration of the opportunity costs someone will incur by not interacting with you. Take time with this, you should feel exhausted by the end. Literally try to squeeze every direct and indirect benefit you can think of out of this list. Act 2. Link the benefits to a value offer. Now that you have an extensive list of how awesome your offer it is think about why people should care. Connect these benefits to the real problem that it solves in a way that makes it easy for your customer to almost imagine how better their life will be after having interacted with you. Make who you’re talking to as clear as possible, what you’re offering and why you’re different. Why should someone trust you to solve their problem over the possible alternatives. Weaving your value proposition into all the parts of your business? You’ve taken the time to craft the perfect value proposition, now what? Since your value proposition is the foundation of your sales and marketing efforts it’s time to audit your copy and content. Do your blogs, landing pages, Facebook Ads, etc clearly reflect what you do and who you do it for? You just finished putting the work into identifying who your ideal customer is you know how they like to be communicated with, what interests them and what they care about. You’ll be able to craft graphics and longer form sales copy that really speaks to them. Not only that but all your content and copy can finally be focused on serving someone specific, not everyone. It should also be reinforced everywhere you show up on line. Your value proposition is the shorthand for why people should engage with you. Having it everywhere online (all your social profiles for example) and aligning your actions with it will help people better connect with you and build credibility. It definitely helps shorten the whole know like and trust curve. Taking your value proposition seriously is important if you plan on building a successful business. If you’re counting on really connecting with people then you need to give them something to hold on to that’s more than a catchphrase or a slogan. Your customers are also really busy, early on in the relationship you can’t expect a potential customer to take time out their day to really dig into who you are, what you do, and the content you produce. That’s a luxury that you earn by after you’ve convinced them that you’re worth investing in. Incivility affects your business's bottom line. How? Because how you treat the people you work with and the customers you serve impacts how they interact with you. At the very least incivility demotivates the people around you, makes it hard for them to buy into why they should be working with you and, at worst it turns people way. Incivility could literally be the single biggest driver that is sinking your business. In this TED Talk you’ll see that it literally pays to be kind in your business. My favorite part of the video is there’s empirical data that supports that nice guys (and gals) don’t finish last. It’s the leaders and business owners that demonstrate civility consistently who prove to be the most impactful leaders in their organizations. I absolutely love this! It’s not about how well your sales funnel works, the colors you choose, or any other tactic; it’s about how you treat people that matters most when it comes to finding success. This even applies for the entrepreneurs and side-hustlers who are a team of one right now. 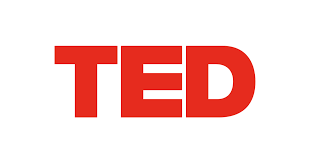 This week I challenge you to find some inspiration from the most successful CEOs that were mentioned in this TED Talk. Can you find ways to better the culture in which you work, be kinder to the people you serve, or even strive to bring someone up? Do you lift people up or hold them down? Based on research, Christine Porath shares the costs of incivility and how civility pays. She explains how incivility is a bug—it’s contagious and we become carriers of it just by being around it. Christine reveals the true power of civility and how our little actions matter. Today I want to talk about the impact of communication in your business and work on why taking it seriously is good for business. Being a good communicator impacts everything from marketing and sales, traditionally thought of when it comes to communication, all the way to management and big picture strategy. If you can’t communicate your values, your mission or who you’re trying to serve then how can you expect people to engage with you? I don’t care how tight your business plan is or how dialed in your product or service is - “the best-laid plans of mice and men often go awry” when you have poor communication and information is poorly managed. And yes, you were just literary’d. Communication is the mechanism by which any strategy in your business can be successfully and repeatedly executed. Making sure that everyone understands what’s expected of them, yes even setting your customer’s expectations, is just as important as having a good overall view of your business and a great plan in place. Communicating strategically is not just about leaving clear instructions for the next person on the totem pole. It’s about helping your stakeholders understand the why and the story behind the business. That’s what’s going to get them to care enough about who you are, the problem your solving and the value you’re delivering to engage (and keep engaging) with you. It’s also about empowering your customers to be involved in the process and to take ownership of their experience. If you and your business can’t communicate simply, clearly, and effectively how can you expect your customers to engage with you. Better still how can you expect all the rest of your partners, vendors, employees and even interns to jump on board with your strategy, make good decisions, and get information where it’s needed. 1. Go all in on trust. The act of communicating - sending an email, answering a text, or chatting in the hallway - means nothing if the people you are communicating with don’t trust you. Getting a plan together and expecting that people get on board with you will only work if they trust that your motivations and incentives are aligned with theirs. Crafting a story is only part of the equation when you are trying to create a movement - it has to come from an honest and real source. Creating any strategy can be a messy ordeal sometimes and it is critical that the people that you rely on and that rely on you can trust that you’ll make good decisions if and when the time comes. Communication through an organization does not have to be multi-level and defined by your org-chart. Great communication happens when ideas can freely flow without the fear of retaliation or judgment. That’s not to say that sometimes you won’t entertain a bad idea but supporting the agency of your employees and partners to share is huge. Simple communication channels also mean shorter turn-around times on getting things done. When problems arise they are easier to spot and easier to deal with. When you are trying to communicate with your stakeholders and customers you should have a few buckets to pull from. This creates consistency and it helps you keep your sanity over the long term. Three of my favorites are trying to inspire, educate, or reinforce. Inspiring every once and awhile is important because it can be a means to celebrate accomplishments and to introduce new ideas or changes. I don’t need to tell you that everyone likes to feel important so use messages of inspiration to keep your people motivated and to keep them connected. Education and reinforcement are important because your stakeholders need direction. Now I’m not saying every communication needs to be extremely detailed and outline very precise direction but they should have some substance and it’s important to encourage learning and improvement. 4. Clear calls to action. The inbox is a very special place for people. So when someone does allocate a little time out of their day to open a message from you make sure there is a clear call to action. If you’re sending an email that’s just rambly, offering no real value and with no clear (easy to take) next steps you will not get a response. You may actually be doing a little damage to the relationship you’ve cultivated with the recipient which will impact the probability of them opening your next email. This is a big one and I wanted it to be last for a reason. If you take away anything from this post it’s to realize that when you’re communicating with someone to remember that they are in fact a real person. In today’s business ecosystem it’s easy to get desensitized to the spammy LinkedIn pitches that clutter inboxes. It’s easy to get instantly turned off because you opened a piece of communication that looks like it was written for a generic, systematized and artificial avatar of a customer. This doesn’t just go for email, it goes with any kind of communication. If you really care about the engagement people have with your business you have to treat them like people. You have to think about what motivates them and where the value is for them to be on the other side of your message. Just because we’re in an era where most people look for the quick win, what they can take or how to make themselves look better doesn’t mean it’s right. Care about what your customers have to say, have a little empathy for the decision maker you’re trying to reach with your pitch deck, and try to understand how what you say in your marketing materials impacts your potential audience. 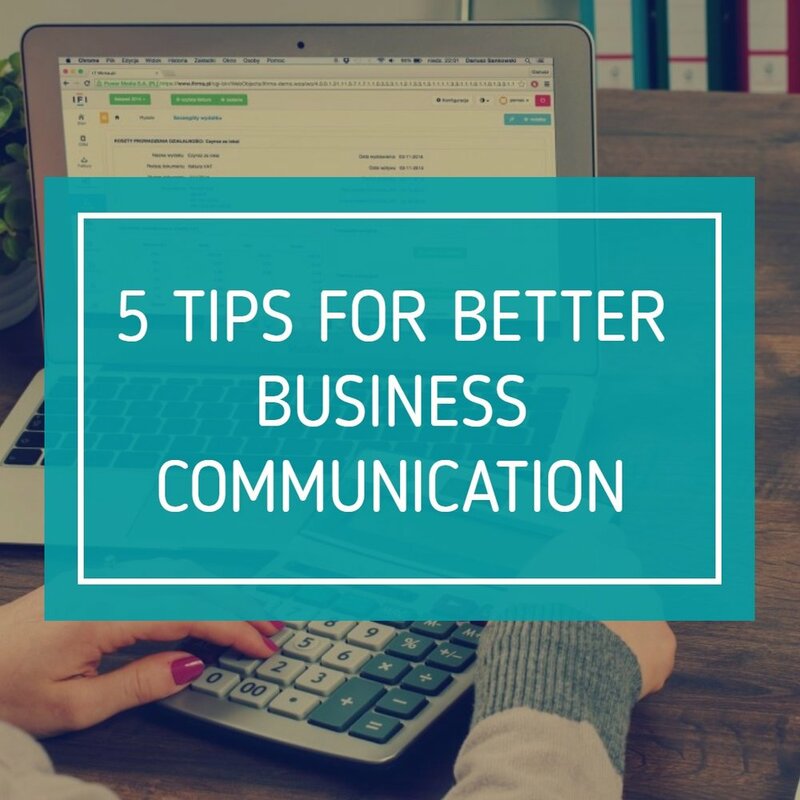 Running a business is already hard so there’s no need to compound that by being a bad communicator. Focus on communicating in ways that are clear, trustworthy, simple, organized and that show that you care and you’ll save yourself all kinds of headaches. We didn’t touch on it much but one of the biggest bottlenecks in any business process is how information is managed - which includes how you communicate. Every time you reach out to someone or post to an audience you have an opportunity to deliver value and build a relationship. You need to take those opportunities seriously because if the people you’re reaching out to don’t get to know you, like you, and trust you they will definitely NOT be giving you their money. PS - Here's my simple call to action. If you're struggling with your entrepreneurial journey and you think a little support might do you some good, go check out the new group program that's launching. Even if it's not for you we can still bond over one of my all-time favorite Disney movies. In today's post I want to encourage you to make your way through Casey Brown's Ted Talk where she talks about getting paid what you're worth. I think this is a great way to start the New Year because her stories go beyond just the financial gains of making more money as she communicates how getting paid what you're worth impacts how you see yourself, your self-confidence and your self-worth. Whether you're an employee, an entrepreneur, have New Year's Resolutions or are just thinking about what you like to get done this year this Ted Talk is for you. It's a mindset reframe as you get back to work this week. "Find your own voice, a voice that's authentic and true to you and communicate your value." "No one will ever pay you what you're worth. They'll pay you what they think you're worth and you control their thinking. " If that second quote didn't reach out and touch the part of your brain that controls motivation then I don't know what will. I mean, it's a really great few sentences to let your brain chew on as you're thinking about how you want to be perceived this year. Ok, enough rambling from me I hope you enjoy this video as much as I did! Your boss probably isn't paying you what you're worth -- instead, they're paying you what they think you're worth. Take the time to learn how to shape their thinking. Pricing consultant Casey Brown shares helpful stories and learnings that can help you better communicate your value and get paid for your excellence. United Airlines what are you doing?! First David Dao, then a scorpion and now an engaged couple are escorted off a plane by a marshall for not wanting to disturb a fellow economy riding sleeping passenger. I reiterate, what are you doing?! Unfortunately investors (and the market) shrug off bad press a lot faster than the consumers that are the subjects of the press but, the last few weeks have been a great example of exactly how NOT to deliver good customer service. To support that point I’ll defer to the UAL (United Continental Holdings) stock charts and direct your attention to the fact that amidst all the non-apologies, outraged passengers and those “re-accommodated” by Oscar Munoz the UAL stock is still hovering around rolling six month average prices. Without spinning off and trying to tackle the complexity of running a successful airline business in a highly price sensitive, highly regulated, low margin and monopolistically competitive market I want to focus on one thing - the customer. I want to use the poor behavior of United Airlines as an example of how companies should be treating their customers during less than ideal times. Great customer service will help you weather bad press and it will keep customers coming back. In an industry where the services are pretty much substitutable that extra edge can make a big difference. 1. Your customers have to come first. Your customers are the lifeblood of your business. You’re job as a business owner is to make sure that your customers not only get the service or product you sold them but also an experience that warrants them coming back (and bringing friends). Sometimes though, there are hiccups. Sometimes you run out of products, sometimes you deliver late and sometimes you overbook a flight. That should never be the customer's problem. Remember, they chose to spend their hard earned dollars with you and if something happens that impacts how you deliver your value then it’s up to you to make it right. Now with United and David Dao that could’ve meant maybe offering the Department of Transportation’s $1350 maximum if the delay a passenger experiences is more than two hours before moving from voluntary to involuntary denied boarding procedures. If you run into a situation in your business that prevents you from delivering a less than awesome experience then I sincerely encourage you to eat cost of over-accommodating now to make it easier for your customer. It will prevent you from having to backpedal to your audience later hurting your credibility and forcing you to constantly “re-accommodate”. Most people are willing to try a new product or service at least once. If they aren’t happy with it they explicitly let you know by not engaging with your company again. So, first impressions matter. After that first impression though, for the customers that do come back, they will be expecting some consistency in their experience. That means that as a business owner you have to spend time and energy on making sure that the experiences you’re providing always meet the high standards you have for your business. It’s why your customers keep coming back and why they will trust you when you try to sell them something new. If a figurative scorpion happens to drop out of a figurative overhead bin it may be the result of some slacking standards. Possibly. I’ve seen this a ton of times, when a business owner gets a little too busy it can be really tempting to cut, what you think are little, corners. I really insist that you don’t because your customers will notice, they always do! and it supports your efforts in delivering on the mission of your business. 3. Happy customers make for great brand building. Everyone loves a good love story. What everyone loves more than a good love story is when an airlines keeps an engaged couple from arriving at their destination wedding location due to some really bad customer service. Now this story might not drop the stock price but the constant sound bites playing on the radio, TV stations and YouTube channels will not make for a happy image. I’m not saying that when your customers break your policies or are challenging to deal with that you should just let them steamroll you but there’s got to be a better middle ground. I mean, going from zero to air marshal seems a little aggressive. If you’re looking to turn your customers into your advocates you have to listen to them empathetically, acknowledge their feedback and look for solutions that are mutually beneficial. When people see your business as one that not only provides a great product or service but one that really cares about the people it serves you get buy in. This is how you build community around your brand and where your ravings fans will come from. To build or grow a business that people will emphatically stand behind you have to care about your customers. You have to show them an experience that will make them want to come back. You have to be willing to listen to them when things don’t go quite right. And, you have to show up for them every day. You might not have the budget to outspend a competitor’s marketing or investment in infrastructure and that’s ok. Consumer’s will always do business with the people they know, like and trust before any shiny marketing campaign or new technology. Struggling to up your customer service game? Sign up with your email address to receive your FREE Disruptive Decision Framework. It'll help you get to the heart of what's important in your business so you can support your customers more authentically. How are you keeping in touch with your customers? Are you getting regular and timely information out to your customers that’s relevant to their experience – like impromptu closings? Are you engaging in a way that is more than the traditional marketing touch points? More than just flyers, coupons, surveys, and talking to the customer on the way out? More than TV/Radio commercials, possible news interviews, and even the occasional hosted special event? You will move yourself to the back of the memory-and-relevance-bus because your customers, even your best customers, aren't connecting with your brand outside of the basic exchange of goods and services for money experience. If you settle for just a basic vendor experience you will only be relevant in your stakeholders mind when your offering satisfies their need – not bad but you should be striving for more. The type of business you run doesn’t matter when it comes to staying in touch with the people that support you. You are just creating excuses if you can’t engage with your customers because you’re a small restaurant, café, bookstore, pet walker, or even an electrician. The idea is that you can always provide value for people and establish yourself as a resource wherever your customer is in the buying cycle. Short answer is no. Longer answer is nooooooooooooo! A report put out by Bain & Company in 2011 reported that customers that engage with brands regularly spend a lot more money in those businesses. That is to say that customers that have meaningful engagement, above and beyond your traditional marketing touch points, reported increases in revenue between 20%-40%. That’s huge if you want to keep your business growing. Not only that, the reach grows exponentially as more and more people see your customers engaging with you in a very public way. I can already feel your eyes starting to waver because you know what’s coming next. Social Media, every business guru’s favorite topic. Maybe you’ve found some success or maybe it’s been a huge waste of time. Either way you have set up your accounts and get to it when you have the time. Most likely, and sadly, only if you have something to announce to your followers. Stepping up on your social soapbox to only announce when things are happening for you is not a great use of resources. You won't be able to cut through the noise. My personal favorite social media faux pas is logging into Facebook and by the time you walk away from it two hours have elapsed – I call this “social media time traveling”. This is not a full on tutorial about social media and you should use whatever platform works best for you to engage with your customers. This post is about getting to the heart of what you are going to do to create some benchmarks to measure yourself against and some concepts to put into practice. Here’s the plan for kicking up your customer engagement and ultimately kick up those revenues. 1. Decide what you are measuring when you start a campaign. 2. Come to terms that engaging with customers is going to come in a full range of experiences. It’s going to take work and it should feel like you are having a conversation with your audience. Think about your favorite YouTube channels – odds are they make you feel like you are part of their community every time you watch their shows. This also means you have to be an amazing listener. You need to be able to understand their needs and wants just as well as what gets them excited and is interesting to them. 3. Mobile is only getting bigger. You don’t have to go out and create a new app (unless you want to) but whatever medium you use should be mobile friendly. Facebook groups, Twitter, and even Instagram are checked every minute of every hour so make sure you are reaching out with value and not spam. 4. Everyone needs to benefit. Remember your customers or potential customers are always going to be looking for value. So you need to do more than just spam your happenings. Find things that your customers can relate to outside of your product or service and spread the love. 5. Listening is the opposite of just constantly shouting at your audience. Listening is about trying to keep people talking to you after the sale. It’s about collecting information about your user’s experiences (great and not so great) and about showing them that you are making real efforts to take that information and improve the experience. Lastly, stand for something that’s more than your sales. Get involved in your community and get to know people in a way that has nothing to do with selling to them. Engaging your customer and being a resource for them outside of the sales cycle will keep you in their conversations beyond the immediate need you serve. Your customers depend on you to make good decisions! Sign up to get your FREE copy of the Disruptive Decision Framework and to receive all my best tips and tactics in building growth strategies that work. What’s your business’ value proposition? Is it to be the “best” at something? Is it to serve your customers better than your competitors? Is it my favorite value proposition faux-pas, just an explanation of what you do that’s full of 3-Dollar business words like: maximum impact, advisory services, creating synergy, problem-solving, solution ideation, increasing efficiency and allocating resources efficiently? Value propositions are supposed to appeal to the people that you are trying to serve that reaches them at their core. If your value proposition is good enough it will make it through all the noise and advertisements that your customers are bombarded with daily and sit right at the top of the feel good parts of their brain. That’s what a good value proposition does. A value proposition is not just your mission (missions are super important for strategy to work though). It’s not a catchy tag-line. Well I mean, bad value propositions are. Bad value propositions talk about capabilities, features, and generic accolades. When you use jargon and fuzzy words to convey your values (or just what you do) you are making it hard for your customers to engage with you. You aren’t pushing the buttons hard enough to move your customers in either a rational or an irrational way. Borrowing some concepts from the economics courses I teach; when you don’t do a good job of aligning what you offer with the tastes and expectations of your customers, you are making yourself substitutable. Ahhh price elasticity of demand, you are a heartless but fair judge. Customers are always measuring the value of something against the dollars they have to trade for that something. A good value proposition lets your customers know that they are getting their money’s worth. The real question behind a great value proposition is - How do you communicate the real benefits of what you do and why someone should do business with you? A good starting point to framing your value proposition is to make a choice. You are choosing to either operate at the lowest possible cost or sell something for more. Sounds simple and probably a little cliche but there are some caveats here that most people don’t think about. You are charging a higher price for a reason right?! You need to do your best to make sure it’s a reason that matters to your customers. Seriously, charging a higher price because of some input that your customers don’t really care about or that doesn’t really affect them is not a good way to differentiate. It has to be customer focused! You have to do your best keep what makes you special for as long as possible. If people are working with you because they like what you are doing, your goal is to grow those connections as wide and as deep as you can. If your competitors start to imitate what you do you’ll risk losing your customer base to lower prices. When they buy from you make sure YOU are part of that value. 1. Maintaining your lowest cost status. As a small business or an entrepreneur there’s a lot of pressure to innovate. The problem is that lowest cost producer is a title that’s really hard to keep. Don’t fall into the trap of offering low prices with hopes of that you’ll steal market share away from your competitors and keep them. When you raise your prices, customers who are seeking for low cost will move on to the next lowest price points. When you enter the low cost/low price game you’re dealing with customers that are looking for the most bang for their buck. Think personal finance tracking apps for smartphones and tablets. There is a lot of competition and a lot of very close substitutes. It can be really challenging to communicate with customers about the value of what you offer when you are trying to scream over everyone else in your marketplace. As you can see there’s no guarantee of success when it comes to choosing selling at higher prices or trying to compete as a low cost producer. Success comes from the heart of your value proposition. Your value proposition has to resonate with people so that they feel like buying from you matters, be different enough to stand out among your competitors and provide measurable substance. When you are building your copy talk to people like people. The market decides what it wants. It decides how good you are and at what price consumers/clients/buyers are willing to pay for you. That means you need to get really clear and articulate about the value you’re bringing to the market. Big fluffy mission statements that try to reach everyone are just an exercise for boards and executive teams that makes them feel good about themselves that day. No joke, a mission statement doesn’t cut it any more. Having your vision statement or your core beliefs taped up in a common space or over your computer monitor will only marginally motivate you and your stakeholders. In order to get the commitment and the engagement from yourself and your customers or audience, you need to be able to deliver value and communicate that value in a universally understood language. In other words you have to let your value show everyone in the market that you are worth paying attention to. Once you get clear about that it’s at the crossroads of value and meaningful communication where you will find strategic aspirations. There has been a lot of buzz around the word “aspiration” lately. I hear it in the business audiobooks I listen too, the blogs I read and all over the Harvard Business Review site. Large businesses use aspirations to paint a picture of what the world will look like in the future when every consumer utilizes their product or service. If you’re struggling for an example to visualize, I will happily oblige by offering you the imagery of the “Buy ‘n’ Large” mega-corporation from Disney’s Wall-E. Talk about the future of consumerism... But what does it mean to the independent entrepreneur who is out there everyday hustling to find success? You aren’t “Buy ‘n’ Large” and this isn’t a Disney Movie. Your strategic aspiration is your conceptualized view of what success looks like. It’s the scenario you play in your head of what your business looks like when it’s firing on all cylinders. That means you delivering your most valuable work to the people or businesses that need it most. That also means that you have to work everyday at clarifying what your aspirations are - especially because they can change and that’s ok! Strategic aspirations are not daydreaming and well wishing. They are not empty intentions. Your aspirations are the foundations of the strategic choices you make going forward and will guide your allocation of resources. As an entrepreneur you are constantly making choices and are constantly battling resource constraints. Often your aspirations will help you make the best possible choices by default (with a little practice that is). Getting crystal clear in your aspirations will help you evaluate your choice outcomes and navigate them in a way that produces outcomes that will move you closer to realizing your aspirations. The neat thing about strategic aspirations is that you don’t need a gimmick to remember them. Because you put in the work to figure out what success looks like, feels like, and even smells like your aspirations should be resonating with you to your core. As an entrepreneur or a professional with entrepreneurial tendencies, life is a constant balancing act. Aspirations provide the framework for how your business will behave and a systematic way of checking in with yourself. At this point if you like your taped document or stick notes above your computer you can put them back up. Only if you are really clear about what success looks like. When you do the work and get to the core of clearly identifying success for your business you can start to deconstruct it into steps you can take daily to get there. After I get clear on my aspirations what happens? I have a very simplified set of tips or tactics that you can implement right now. Not overly complicated and not overly difficult. Decide What Matters: Figure out how you are going to measure success. Here, the fewer the metrics the better. Everyday Action: Figure out what you have to do daily to get you to your aspirations. Week/Monthly Action: Work in time to evaluate how your weeks/months are going based on what you’ve done and what you decided matters. Quarterly/Annually Action: These are the things that have to happen for your business to grow as you want it. Your individual daily actions might not necessarily provide the direct outcomes needed to get here but they should be building to these goals or plan. That’s it. The hardest part is not the planning, especially because that can change. The hardest part is deciding what’s important and then doing the WORK! So figure out what you can do daily to help push your aspirations forward and take some kind of action today! FREE disruptive framework to help you with your decision making! Sign up with your email address to receive the Disruptive Decision Framework to help you while you're working your way through your value proposition. Delegation is scary. (Whisper Voice: It doesn’t have to be!) In my experience the entrepreneurs that I’ve worked with struggle with delegating work because it means having to let go. It means knowingly and willingly trusting that someone else can get the job done - exactly as you would. It’s also scary because it means that you can’t hide behind a wall of to-do’s that may or may not be the thing holding your business’ performance back. Crazy to think that you might be the biggest obstacle to your success isn’t it?! For the record, it’s really hard to grow your business when you are focusing on growth and everything else in your business at the same time. This goes double for you if you are a self (or otherwise) proclaimed perfectionist. That means that getting good at delegating is critical if you plan on hitting the goals you set for yourself and your business. The great thing is that delegation isn’t just for businesses that have lots of employees. It’s also not just a neat management trick for working in teams or getting your non-profit boards to get any real work done. Being able to prioritize and delegate is just as important to the solopreneur working from her kitchen table as it is to the CEO who’s charging her board with the goals for the next quarter. Before I can teach you how to be a better delegator I need to outline what kind of tasks/actions/responsibilities are best suited to be delegated. Everything that’s not a strength, that you’re not great at and/or that takes away from you driving your business forward. End of list. Big list I know. When you are trying to grow a business there are tons of things you need to be doing everyday. Some of that stuff is going to be fun and engaging and some of it is going to be repetitive and brain-numbing. The trick is finding a way to get everything done enough to keep you from burning out. Those things that you're responsible for only compound when you start adding variables like employees, contractors or even trying out new social media channels. Being able to delegate effectively will give you more time to focus on doing the important business growth stuff that you are best suited to do. Get specific. Get specific about desired outcomes, processes and resources you’d like to see utilized. This is not micro management! This is managing expectations. When you provide clear constraints and expectations you’re giving people permission to do their best work in a way that’s authentic to them - instead of guessing about what they think the outcomes are supposed to look like. Get accountable. Accountability is a two way street when you are delegating. First, you should clearly identify the time frames and outcomes you’re expecting. Then you should make sure that you are also being held accountable with any resources, feedback or time that will help push the delegated tasks forward. There’s nothing worse than a breakdown in communication and accountability that leaves everyone involved a little frustrated and a little resentful towards you and the process. Give authority. When you delegate something it’s important to make sure that who you delegate the task to has the authority to get it done. How can you expect someone’s best work when they feel like they have to be constantly checking in or asking for permission to make decisions or take creative liberties. Set up the constraints and give the appropriate authority to get the most out of your delegate-eys. Those three things are the most important components to delegation. I’ve seen lots of entrepreneurs and business owners struggle with managing their employees and contractors because expectations weren’t managed, directions weren’t followed and projects weren’t completed. Spend a little time in the beginning, assume that no one knows what’s going on in your head but you, and in really good detail set the guidelines for what you’re delegating. You’ll be surprised with what comes back.